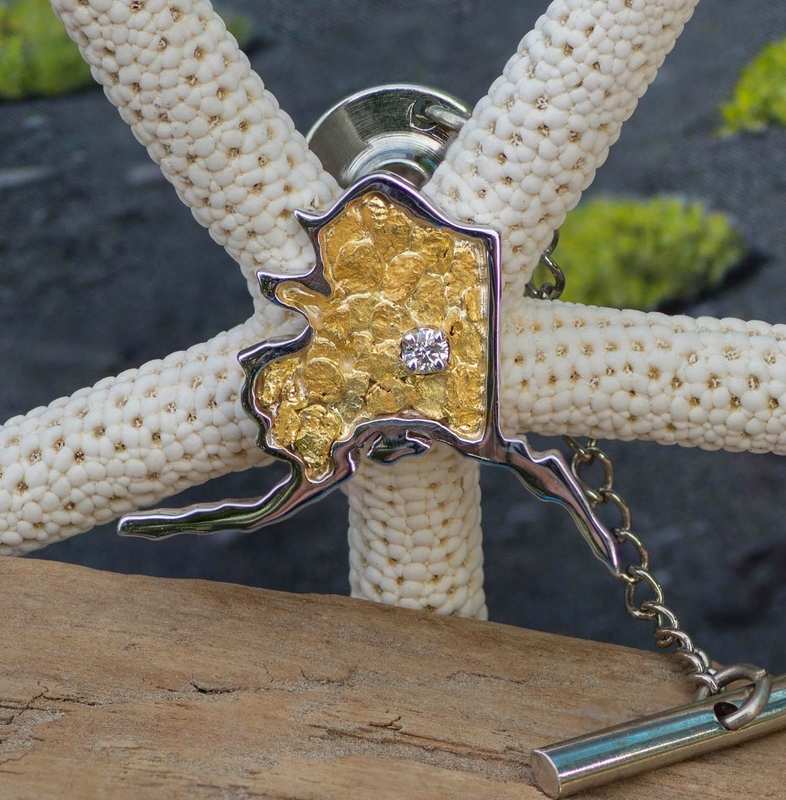 Extravagant Alaskan Gold Nuggets strikingly arranged with a Diamond center stone in this captivating state-of-Alaska White Gold tie tac. 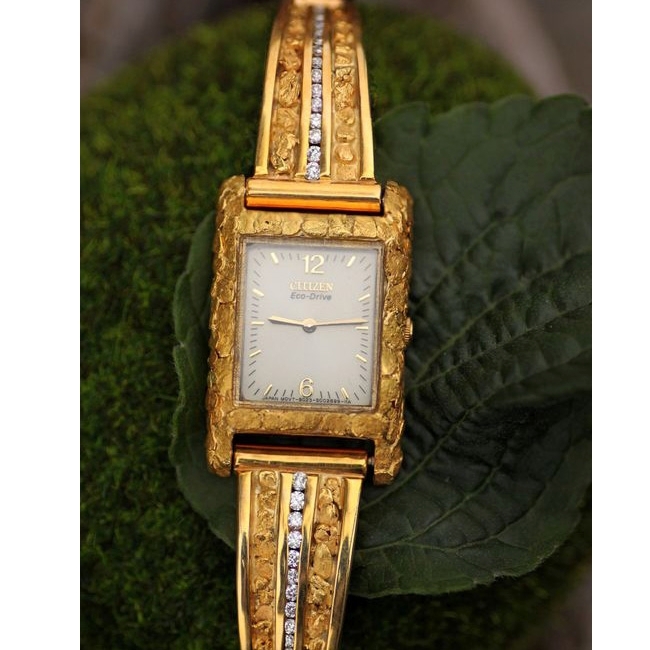 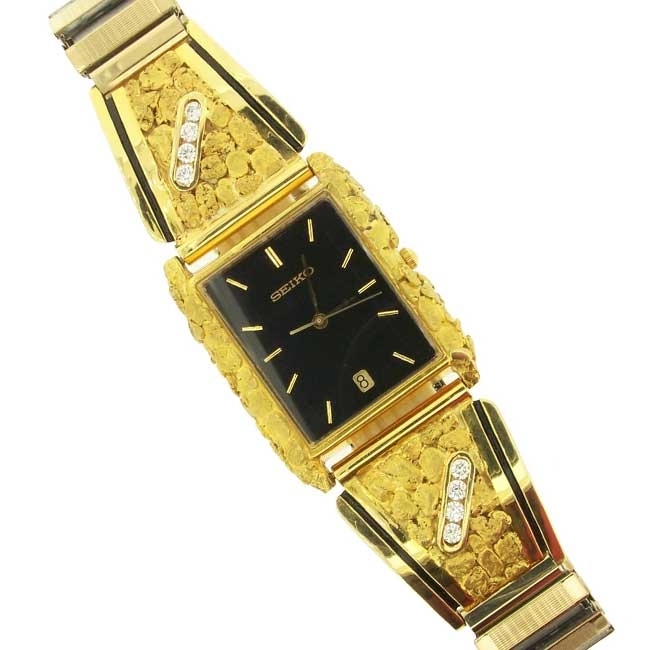 This CITIZEN Quartz watch design features sparkling Diamonds with dazzling Alaskan Gold Nugget side panels and a textured stretch band. 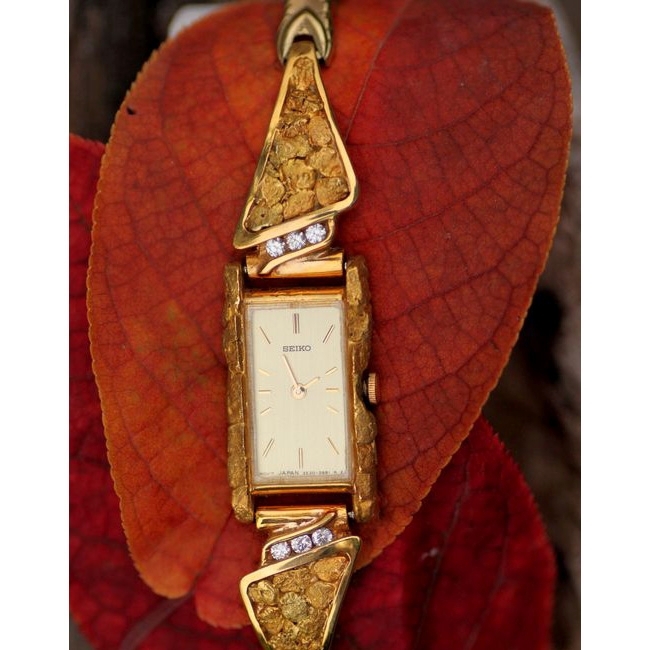 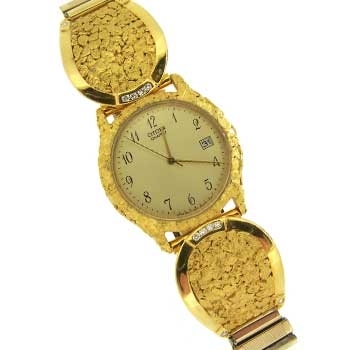 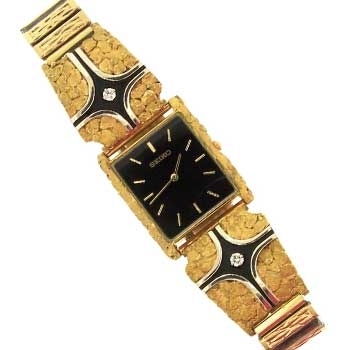 Chic black faced watch design is embellished with 14k Yellow Gold side panels featuring natural Alaskan Gold Nuggets with 8 brilliant Diamonds and a textured stretch band.